In Odesa, a rally was held in support of Crimeans Oleg Sentsov and Aleksandr Kolchenko imprisoned by the Russian occupation authorities. August 25, near the city garden of Odesa, Ukraine, a rally was held dedicated to the second anniversary of the sentence of Oleg Sentsov and Aleksandr Kolchenko. The activists brought the poster "Freedom to the Crimean political prisoners" and chained their hands. "The verdict is revenge for their participation in protests against the occupation, an act of intimidation for Crimeans who disagree with annexation, as well as creating an image of the enemy and an atmosphere of fear of a" terrorist threat" on the peninsula," an activist of the public organization "Self Defense of Odessa" Vitaly Kozhuhar said. As part of the campaign, letters were collected for the political prisoners of the Kremlin. “We want to inform people that the main thing in the current situation in the country is not to remain indifferent. Anyone can be in a difficult situation. 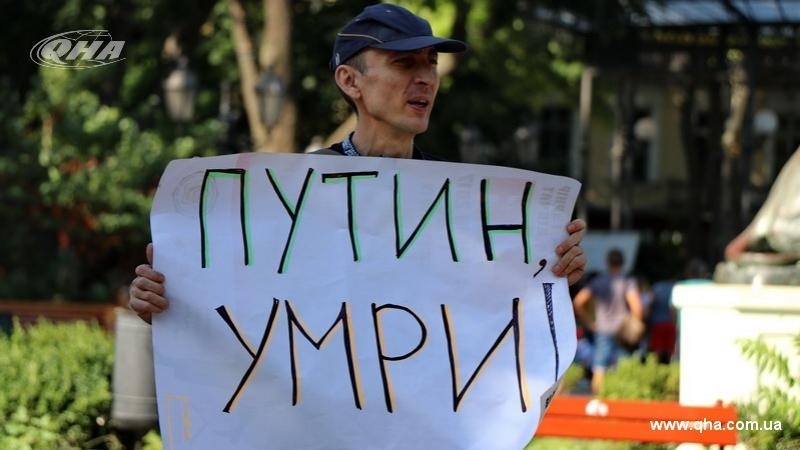 Indifference kills, support of others, on the contrary, gives strength,” says the participant of the rally, a migrant from Luhansk Marina Bushueva. Reference: One of the first Crimean prisoners citizens of Ukraine sentences in Russia were filmmaker Oleg Sentsov and activist Aleksandr Kolchenko. The Russian investigation accused them of terrorism. August 25, 2015, the North Caucasian District Military Court sentenced Sentsov to 20 years in high-security prison, and Kolchenko - to 10 years in prison. Activists all over the world support the Crimeans. The same day in Kyiv, a rally was held in support of Ukrainian political prisoners outside the Russian embassy​​.